Established in 1993, the John P. Anderson Collection of Student Art purchases student works as way to recognize the accomplishments of Wake Forest’s student artists, including those who have achieved Honors in the Studio Art major. The collection consists of works purchased at the annual student exhibition at Charlotte and Phillip Hanes Gallery each spring. 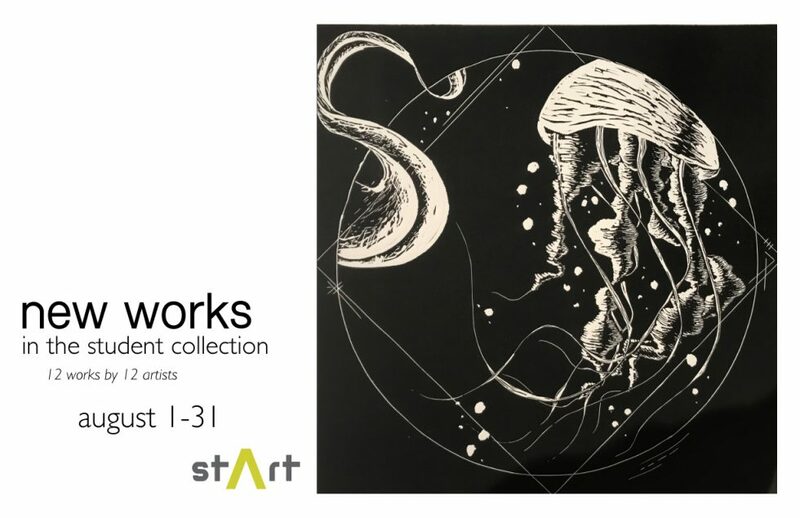 Twelve works by twelve artists were accessioned into the collection in 2018. These works span diverse media, including drawing, sculpture, painting, photography, video, linoleum and monotype prints, and embossing. Artists featured in this year’s include Emily Aranda (’18), Aislinn Bevill (’20), Rebecca Boolba (’18), Yan Cheng (’18), Will Coleburn (’18), Austin Hill (’19), Sarah Lewiecki (’18), T. Nash (’18), Anna Pugh (’18), Alex Ross (’20), Libby Williams (’18), and Adrian Wu (’18).